Bloom Consulting is a place brand strategy consultancy, pioneering the concept of the Digital Place and Digital Identity: places known for their commitment to digital technologies as a way of organizing their economies, their governance, their place-making, place branding and promotion. Bloom Consulting is a data partner of the World Economic Forum. Which topics linked to the branding and reputation of places are you most passionate about at Bloom Consulting? Who is leading Bloom Consulting? Malcolm has 40+ years of experience in both public and private sectors as a town planner, economic developer and latterly as a place brand strategist focusing on place-making, place, destination and development branding and marketing. He has advised the governments of Botswana, Costa Rica, , Ireland, Kenya, Tanzania, Uganda, , Ecuador, as well the municipalities of Amsterdam, Cork City and Cork County, Glasgow, Kuala Lumpur, London, Singapore, Stockholm, Oslo, and Riyadh.. Since 2018 Malcolm is the President of Bloom Consulting. He founded Placebrands in 2002 with Simon Anholt, one of the first dedicated place brand agencies. In 2007 he was hired by Colliers International to lead the destination branding work of its subsidiary, Locum Consulting, before becoming joint leader of Colliers Destination Development Team. In 2012 Malcolm founded Placematters, an agency specializing in brand-led placemaking. He is a member of the City Nation Place Advisory Board and speaks at its annual conference in London. 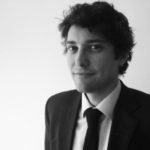 He regularly blogs for CNP and The Place Brand Observer and has contributed chapters to a number of place brand handbooks, for example on Destination Brands – “The Leadership Challenge” and “Brand Strategy for Mixed Use Developments”. In 2014 Malcolm was created a Fellow of the UK Academy of Urbanism and has been a fellow of the UK’s Royal Society of Arts and Manufactures since 1994. 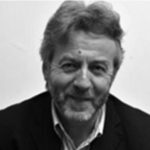 Malcolm Allan is a member of our virtual expert panel. Read his interview here. His clients include 27 countries, regions and cities spread across five continents, such as Austria, Costa Rica, Ecuador, Finland, Germany, Jamaica, Latvia, Sweden, Norway, Poland, Portugal, Paraguay, Spain, Abu Dhabi, Algarve, Madrid, Helsinki, Riga. Jose is also a guest speaker in different universities in the USA and Europe, such as Harvard University, the London Business School and the Stockholm School of Economics, and is a member of the City Nation Place Forum advisory board. 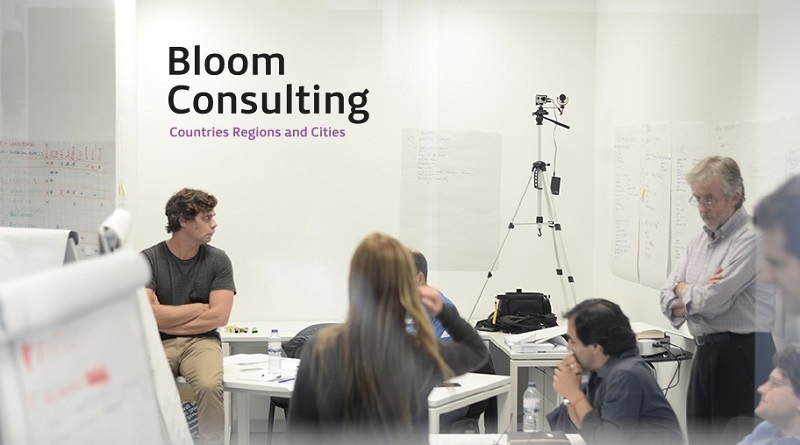 In 2011, Jose was responsible for idealizing the global research project, Bloom Consulting Country Brand Ranking © and most recently using the analytical software called Digital Demand – D2© the Digital Country Index© and Digital City Index©. Jose Torres is a member of our virtual expert panel. Read his interview here. 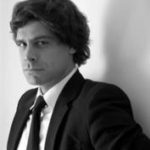 + 10 years of experience, Gonzalo has been working in developing strategies for many country branding projects, defining FDI and tourism strategies and research for different countries, regions and cities around the world. Since 2011, he has been responsible for delivering the Bloom Consulting Country Brand Ranking©, an annual research classifying more than 200 country brands in the field of trade and tourism. Moreover, Gonzalo is also responsible for the Digital Demand – D2©, where 220 countries are monitored every year regarding their appeal for investors and for tourists. Gonzalo has advised the tourism and investment national agencies of Aruba, Austria, Germany, Malta, Sweden, Cape Verde, Paraguay, Poland, Latvia, and regional and city agencies of Madrid, Brussels, Riga, Helsinki as well as regions in Portugal such as Algarve, or South-West and Porto region. Mr Vilar is the author of the study “Branding Difficult Destinations” an essay published for and by the World Bank on how Place Branding can provide stability to conflictive regions such as the Middle east. In place branding, it is as important to create a good management structure with a good measurement system, as it is to develop the actual strategy itself. Having supported a number of countries to create and implement country and nation brand strategies, we can attest that this is where the biggest challenge is. A good way to tackle this challenge is persuading individual departments to develop common, relevant and measurable Key Performance Indicators (KPI’s). We advise to measure the performance of projects against BOTH their individual objectives and targets AND the objectives and targets of the overall nation brand strategy.